We’re living in an era of increasingly complex, volatile and unpredictable investment markets — an era that calls for a more intelligent, deliberate and proactive approach to meet investors’ goals, whether it’s building wealth or generating income. That’s precisely why we created the Hanlon Investment Management Strategic Models. Each individual model — tailored to address the varying needs of investors — features a meticulous investment blend that seeks to achieve the greatest reward for a given amount of risk utilizing low cost investments. 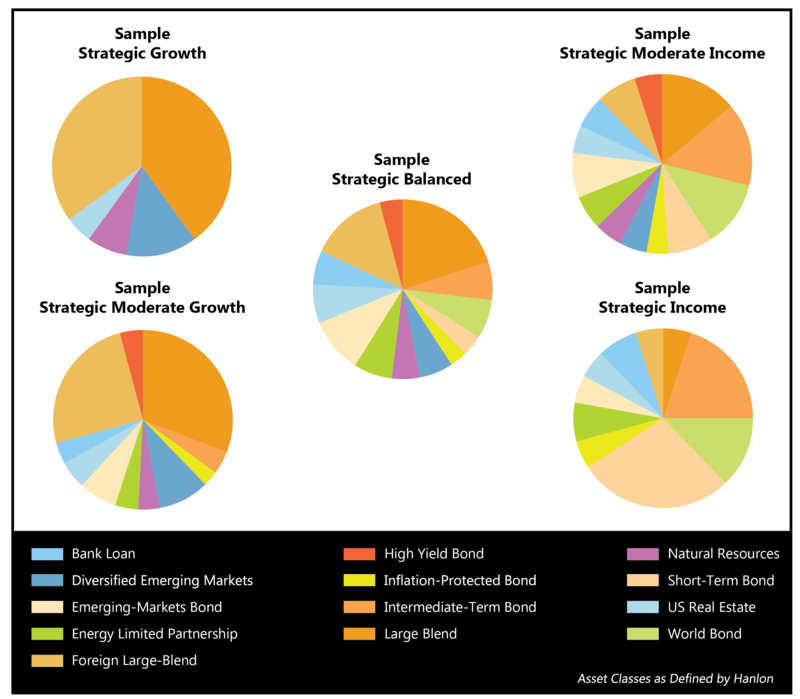 The heart of Hanlon Strategic Models is a proprietary portfolio construction process. The result is a buy and hold investment solution that is unique in harnessing the long-term efficiency of buy-and-hold investing and the diversification of alternative investments. A deep analysis of market conditions that incorporates not only our own views but also the perspectives of some of the industry’s most respected research firms. We employ a quantitative technique that weighs potential returns against potential risks, with a goal of creating the ideal combination of Asset Classes. The universe of mutual funds and ETFs are then screened on a variety of performance and expense metrics, including a rigorous screening process that evaluates whether an active or passive strategy is most appropriate. 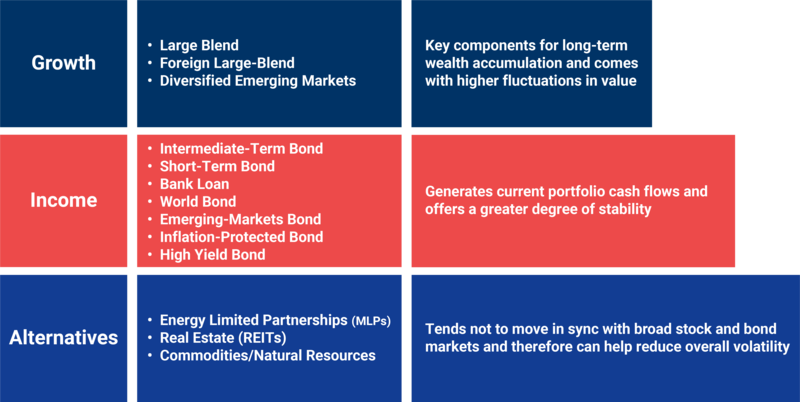 Final adjustments are made, including short-term Asset Class views, and alignment of the portfolio with individual investor needs, to include tax considerations. The portfolio is monitored and periodically reset to target allocations with an eye on cost and tax-efficiency.